Hey guys! Today's post is a little different, but I'm gonna give it a try and see if you guys like it. If you follow my Instagram you'll know I'm a massive nail polish junkie. 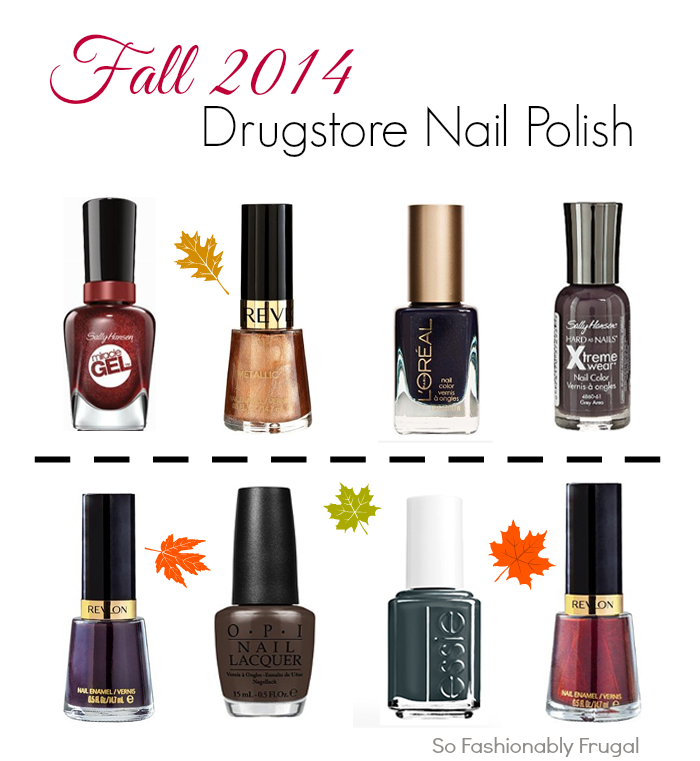 I've been really impressed by this Fall's nail polish collections and want to share some of my drugstore favorites! Before I start, let me note that I've only featured drugstore brands that I love the quality of and have tested out myself. I find they tend to stay on longer than other polishes, and can withstand well with me working with my hands all day. My personal favorite is Essie, and although I know it costs more...if you feel stuck between a polish I'll always recommend it first! For me, it has always dried in under a minute, which is essential with a busy lifestyle. 5) Revlon Nail Enamel in Seductive // 6) OPI Nordic Collection Nail Polish in How Great Is Your Dane? Note: Ruffian is not sold at drugstores. I got it from Birchbox. But I love it so much for Fall I had to include it! What color polish is your favorite for Fall? Let me know below!